Quick evening tour from Twin Lakes to see new snowfall from the last few days. 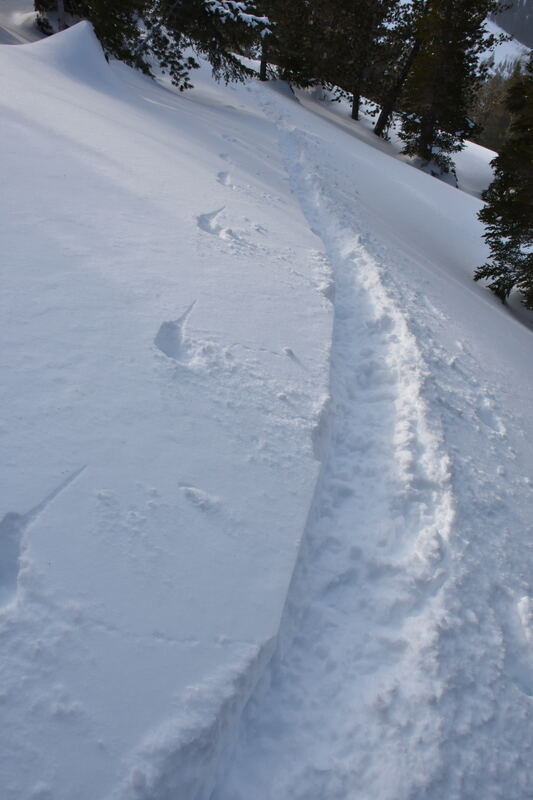 Snow surfaces on all aspects below about 8400’ are sun effected and vary from unsupportable to a mostly supportable melt/freeze crust as you gain elevation. Temps were dropping noticeably while I was out from 4-6:30pm. Above 8500’ N-NE aspects had 4-6in of dry snow resting on a supportable base. I could initiate minor sluffing of the top 1-2 inches on slopes greater than 40 degrees. The new snow seemed to be well bonded to the previous snow surface in the terrain sampled. 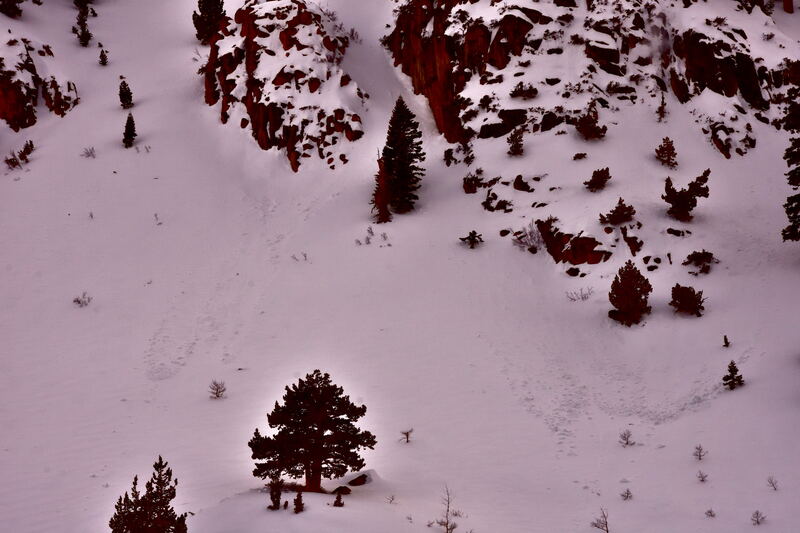 Gusty moderate winds were stripping snow from terrain with any exposure and depositing it in drifts on lee aspects. I ski cut a few of these deposits on the descent but they were nonreactive and didn’t display any slab characteristics in the terrain I sampled. With moderate to strong winds and low density snow available for transport I would expect the wind slab problem to be more widespread above treeline. 1 Wet activity from Friday. 2 Winter conditions on N-NE. Sustained light winds at lake level were producing chop on the unfrozen lower Twin Lake. Winds were increasing as I gained elevation. Sustained moderate with strong gusts in exposed terrain at 9K. Partly sunny skies with brief intervals of S-1 snowfall, increasing slightly as I gained elevation.